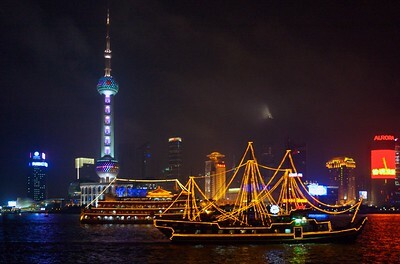 Booze cruises on the Huangpu River (黄浦江) in downtown Shanghai. 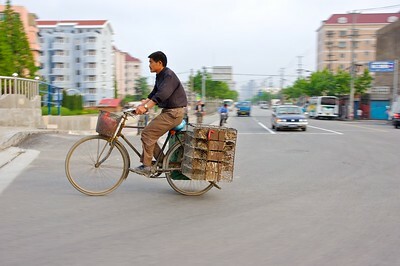 Nearly anything is transported by bicycle, including chickens. 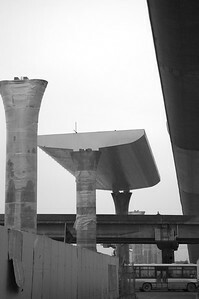 The familiar site of construction in China, here just outside of Shanghai. 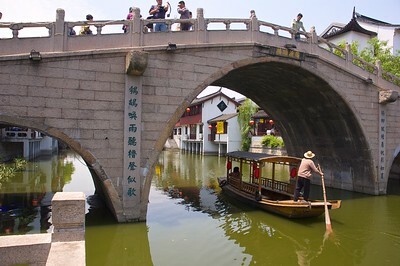 The ancient town of Qibao is just 18 km. 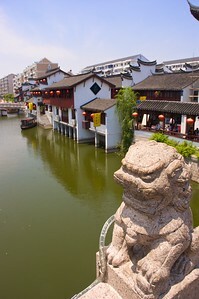 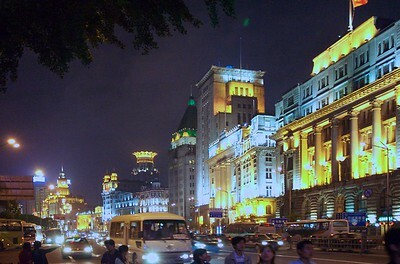 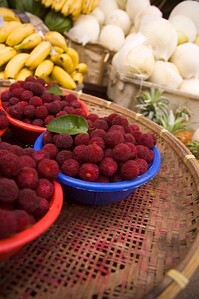 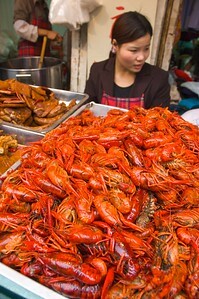 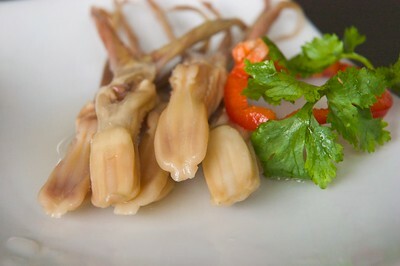 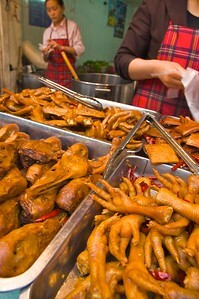 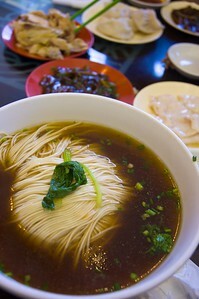 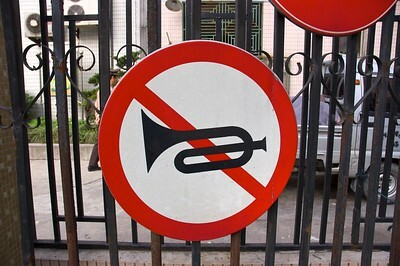 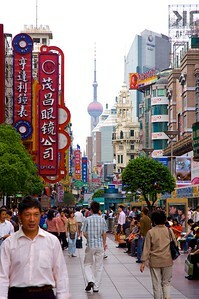 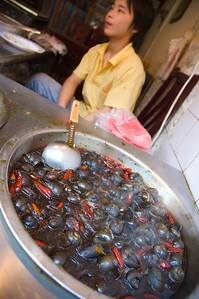 from downtown Shanghai but gives the visitor a feel of an ancient village. 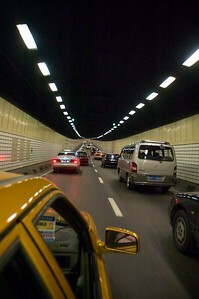 Traffic in the tunnel under the Huangpu River. 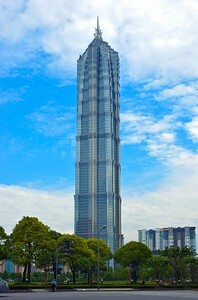 Built in 1999, the Jin Mao tower was the tallest building in China at the time. 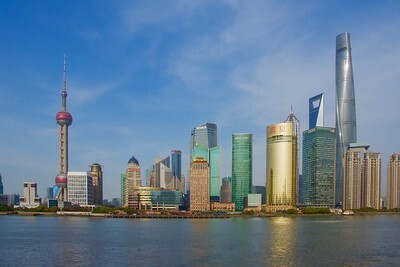 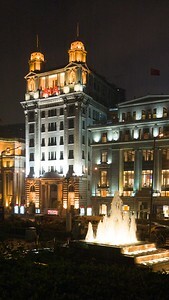 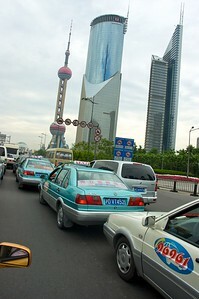 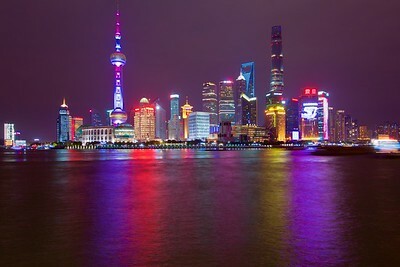 In 2007, it was surpassed by the Shanghai World Financial Center which is now next to this building. 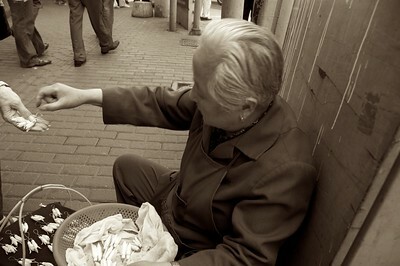 With no state welfare system, old people must do what they can to make ends meet.